This stunning Save The Date card is perfect for any bride wanting to impress. Exuding elegance and sophistication, this shimmering stationery is sure to pique the curiosity of guests and have them anticipate how the wedding will unfold. 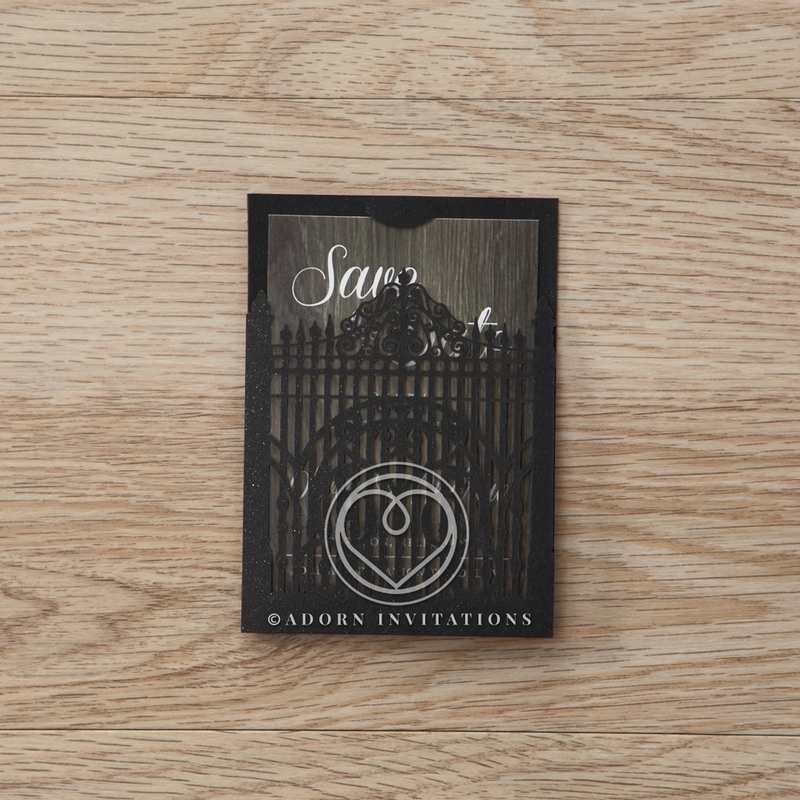 Crafted on a pearl ebony card stock, the miniature gates are artistically created using precise laser cutting techniques. Once the gates are opened to reveal your message, the combination of grey, white and black offers a chic mysterious appeal at first glance. To have the card match your wedding theme, customize the inner card color or opt for bright bold colors or a red gem tone for a more striking effect.